It’s currently all systems go for Unravel so I’m really excited to be able to start sharing some of what to expect! Did you see the big announcement? We’re so excited about how many exclusives we’ve managed to secure for you. One of them is yarn from Whimzy. You won’t be able to get your hands on this yarn anywhere else at the venue. What’s more, it’s Whimzy’s first appearance at Unravel so we’re responsible for a debut! How’s a knitter to choose? 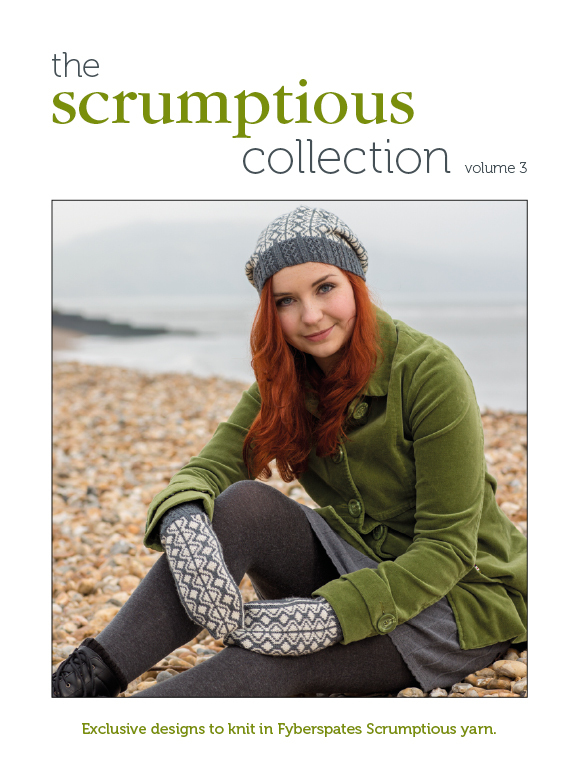 Scrumptious Collection Vol 3 is visiting Inspiration Knits on its blog tour today! This is very exciting because I love working with Fyberspates Scrumptious yarn. I’ll take any excuse to pore over pictures of beautiful things made in these luscious yarns. And you’ve got the chance to win a copy of the book too! Inspiration Knits is coming to Unravel! All I can think about right now is Unravel. I can barely focus for long enough to write a blog post, even though this blog post is actually about Unravel. It’s a “Festival of Knitting”, and we will have a stand there, 21-23 February. It’s our first show and I’m so excited!